I wish I had packed a pair of the Going Places Shorts during my 2-year round the world trip. Note: After Ministry of Supply’s (botched?) rebrand to “Ministry”, then move back to “Ministry of Supply” and introduction of the women’s clothing line, all the product names changed. The products are essentially all the same, though. This applies for the MoS Going Places Shorts – they were formerly named the “Aviator 2 Shorts”. Ministry of Supply is known for its use of hi-tech materials in it’s products. 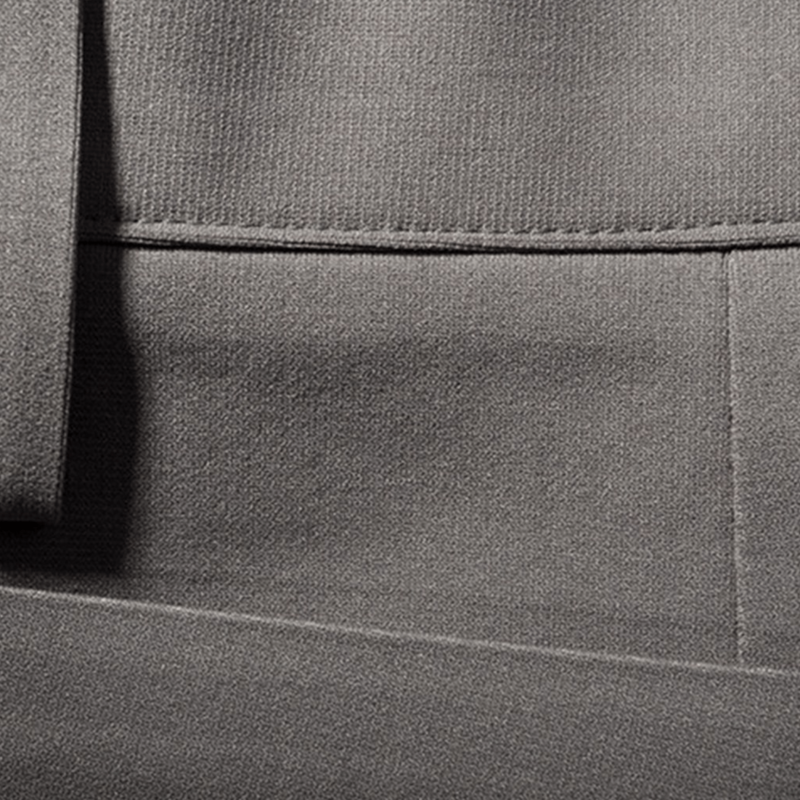 Upon touch, you can tell the Aviator shorts are clearly not cotton – they’re made of 100% polyester. The material has a weird feeling and personally I prefer the feel of cotton, but it’s not a big deal. I do like the technical benefits, though. The material absorbs water easily (if you pour water on it, it will show), but also dries quickly. It has a bit of stretch, but not that much. It has a unique feel that’s hard to describe – foam-like is not entirely accurate, but I would say the material not as soft as cotton. 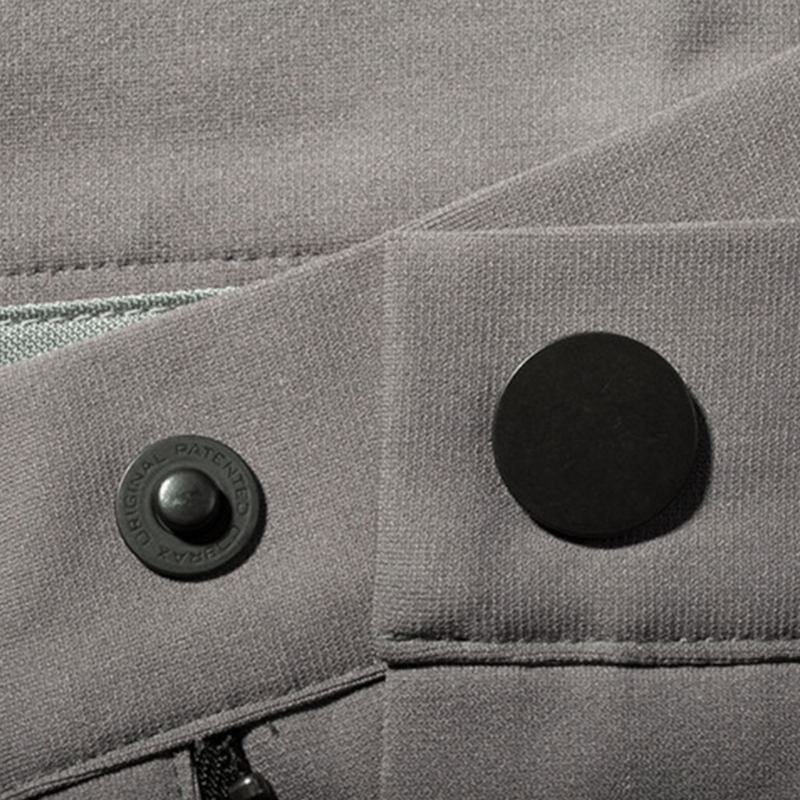 The shorts’ fly has a very smooth YKK zipper and a Cobrax Original clasp/button thing at the top. I found the fly and materials used to be surprisingly durable. Everything feels substantial, and there are no stitching errors or loose strings. The overall design of the shorts is clean cut with few frills. I’m also a fan of the light grey color, which is suitable for and matches with almost everything. I’ve worn the Going Places Shorts (Aviator 2 Shorts) at home in New York City and during trips to Ecuador and to Missouri. They don’t take up much space in a bag, and don’t wrinkle – which is a huge plus. They dry quickly and are easy to hand wash too. The versatility of the Going Places Shorts is the main factor that will make you want to travel with them. Good with a t-shirt or polo, these shorts can be dressed up or down. They’re quite comfortable too, I wouldn’t mind wearing them on a red eye flight, or during a hot summer walking tour. The Ministry of Supply shorts have 4 pockets; 2 hand pockets and 2 back pockets. Unlike those found on most shorts and pants, the back pockets on the Going Places cannot be closed. It would be nice if they could be zipped shut, so nothing falls out, and as an extra measure against pick pockets. I like pairing the Going Places Shorts with polos. The whole outfit has a bit of a summery vibe. I frequently wear the shorts with normal t-shirts, for a very casual outfit. I’ve also worn these shorts with a J.Crew oxford collar button down. Personally I don’t like wearing button downs with shorts in general, but it can be done, especially with these shorts. As for the shoes, I usually wear these shorts with casual sneakers. You can go with the classic Adidas Sambas, Fair Trade Oliberte Zabilos, or these from Common Projects or pretty much anything from Huckberry. You decide. This is how the MoS shorts look tucked in. The Going Places Shorts come in sizes 28, 30, 32, 34, 36 and 38. Ministry of Supply recommends sizing down if you’re between sizes. I’m 5’8″, 130 lbs and usually a size 28 or 29. Many clothing brands completely write off people of my size, so I was glad to see that MoS had these shorts in size 28. As a sizing reference, I’m also a 28 in Levi’s, 29 in Uniqlo (although 29 is a tad bit wide on me, and Uniqlo doesn’t sell size 28) and wear size small Nike shorts. The Going Places Shorts were true to size and fit my waist perfectly. Most of my shorts cutoff right above my knees, with inseams of around 9-inches. The Going Places Shorts have what I estimate to be a 7-inch inseam, so were slightly shorter. The extent of your short’s shortness is dependent on your personal preference – I felt the shorts were good, but maybe about an inch shorter than ideal. When sitting down, the shorts ride up, which is annoying. Update: Read the updated cons section for an fit issue I’ve encountered with these sorts. Notice all the wrinkles and pulling. It’s normal for shorts to wrinkle a bit at the crotch, but my other shorts don’t don’t do it to this extent. If you take a look at some of my own photos in this review, you’ll notice the same issue. For most, $105 is a large amount of money for a pair of shorts. But then again, most people are more than willing to spend $4.25 on a cup of coffee. Skip coffee about 25 times, and you can get yourself a very nice pair of shorts. The MoS Going Places Shorts are well made, and I expect for them to last several seasons, but $105 is still high for what you get. With a sober outlook, I’d say that these shorts should be priced closer to $75. The Going Places Shorts (formerly the Aviator 2 shorts) are a high quality, albeit pricey pair of shorts from Ministry of Supply. Technical materials and durable hardware make it stand out from your average chino shorts, and the look is versatile enough for a wide range of outfits. The shorts come in two colors: light grey (which I’ve tested) and khaki. What are your thoughts on the MoS Going Places Shorts? Leave a comment below. The Ministry of Supply Going Places Shorts were provided for this review. As always, this Ministry of Supply Going Places Shorts review contains only my honest views and opinions. 🙂 Find out more about me and this site here.